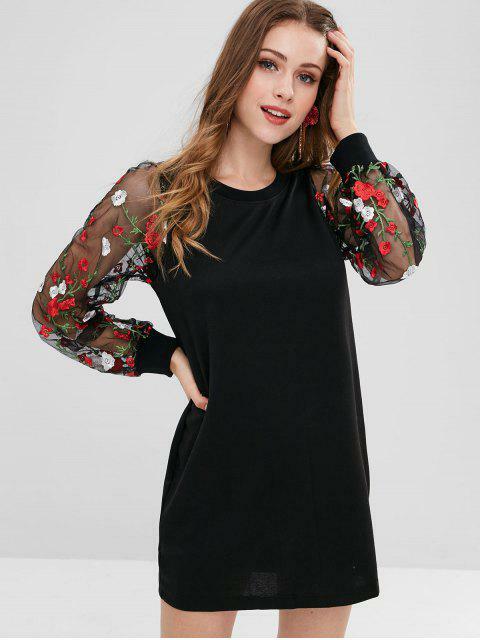 [59% OFF] 2019 Floral Mesh Panel Longline Sweatshirt In BLACK | ZAFUL .. I thought it was a dress! Actually you can wear it as a dress. Nice fabric, and I like the floral embroidered sleeves! Es hermoso! Lo he pedido 3 veces en diferentes tallas, es tal cual. El bordado está bello! 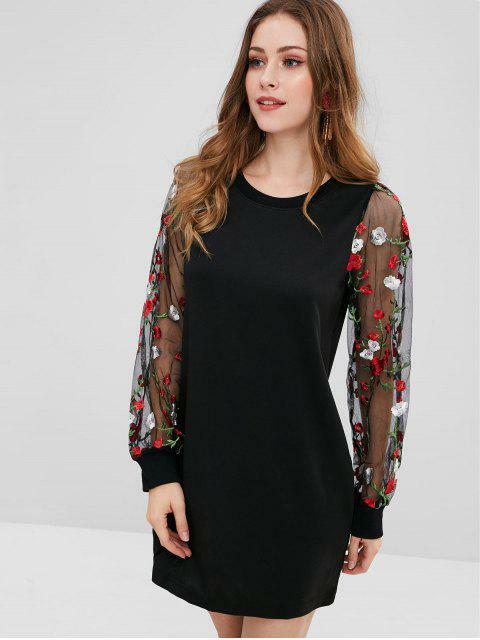 Casual longline sweatshirt featuring crew collarline and floral mesh detail panelling.